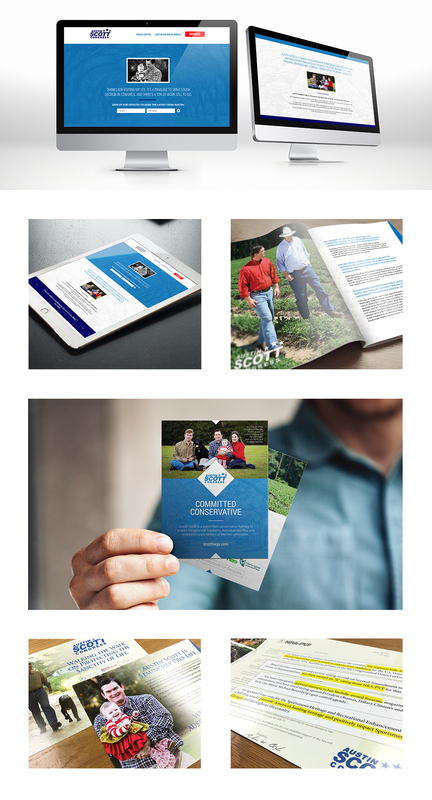 Longtime SRG client Congressman Austin Scott wanted a revamped website and boost to his digital presence before the primary season. But there was one catch – it needed to be done fast. Our team got to work, designing, building, and launching his new site in days – not weeks – without sacrificing design quality. With his new site live, we boosted his online visibility with a series of voter-targeted display and social media ads, highlighting his conservative bona fides. We executed a parallel mail campaign, sending messages to the same primary voters we targeted online. In the end, with a fresh digital presence and strong mail program, Congressman Scott cruised to victory.